Expectations for technology use in the workforce are steadily rising and, as a result, more and more schools are deciding to invest in one-to- one computing. One-to-one computing involves one device for each student to use in the classroom, most commonly Chromebooks or iPads. Sometimes there are class sets of devices, and sometimes each student is able to take their device home. In my teaching setting, each student receives their own Chromebook, takes it home with them each night, and may even opt to keep the device after graduation. While there are many affordances to teaching with one-to-one computing, there are also many challenges. At first, I expected to have students use the Chromebooks all the time, that both the students and other teachers would love using them and be excellent at it, and that the students could easily multitask with technology. In the four years that I have been teaching, my ideas of the role technology should have in my classroom have dramatically transformed. I completed my student teaching in 2013 in an underfunded school district at a school that was in danger of closing. There was only one computer lab—made up of some severely outdated desktops—and it was almost always booked. So, when I landed my first full-time teaching job in a new school and found out they had recently become one-to-one, I was excited for all the opportunities I could present to students. I started making a lot of assumptions about what a one-to-one classroom could look like. I spent a large portion of that summer remaking most of my assignments to be done on the computer or to incorporate online apps, games, or simulations. After all, the district invested a lot of money into these computers. Surely, I should have students using them to do their work as much as possible. Since my students were millenials, I also assumed they would all love working on the computer and would have as much computer literacy as me (if not more). Additionally, I had always thought of myself as a great multitasker when it came to technology use. Since my students would be digital natives, they would definitely be capable of multitasking as well! I learned in the first couple of weeks that all four of these assumptions were way off base. Though no one at my school had explicitly told me that I had to have students using the computers all the time, I had managed to internalize this assumption. Though no one at my school had explicitly told me that I had to have students using the computers all the time, I had managed to internalize this assumption. At the beginning of that first year, I tried my hardest to have students use the computers in some way, every day. While there were lots of ways that technology enhanced learning—like online lab simulations, widely available research sources, and opportunities for peer collaboration—there were also tasks that weren’t magically enhanced by technology. In fact, some assignments were made unnecessarily challenging by putting them on the computer. Students couldn’t easily show work for math-based problems or draw diagrams of atoms and molecules. Another challenge was that some things were needlessly difficult for me to assess on the computer. For example, if I wanted to get a quick idea of student progress in an exit ticket, it was usually much easier to sort through responses and give feedback quickly if they were on paper. This was especially frustrating when the learning outcome hadn’t been enhanced by the addition of technology anyway. My second incorrect assumption was that students would enjoy working on the computer more than not, no matter what they were doing. In reality, the computers didn’t automatically make work exciting. Taking a boring worksheet and putting it in a Google Doc didn’t make it any less boring. Many students groaned when I asked them to get their computers out each day. Some insisted my class was often the only period of the day they actually got it out of their bag. I would present assignments online, and students would ask me if they could print them out to complete them. Students especially complained about having to read too much on a screen because it would cause eye strain or they would easily lose their place. These reactions challenged me to think about whether assignments needed to be done on the computer or not. Knowing that my district had already been one-toone for a year when I arrived, I figured that all of my students would be fairly computer literate on day one. Growing up surrounded by technology, I really had no idea how difficult the transition would be for both students and teachers who hadn’t had as much experience with or access to technology. Many excellent veteran teachers had spent most of that first year being trained—and often spending much of their own free time teaching themselves—how to use Google Apps for Education. While the teachers and administration had put a ton of work into being trained and training students that year, the fact was that several of the students still needed a lot of assistance. For the incoming freshmen, it was still their first year with the Chromebooks. Additionally, since this was my first experience in a rural district, I hadn’t realized how uncommon it was for rural students to have internet at home (or anywhere nearby). Because of this, those students pretty much only interacted with their devices at school. For some of them, their Chromebook was the first computer they had ever used. They were still struggling to learn how to type and how to use Google and I was expecting them to conduct research, write a response, and turn it in—all electronically and all in one period. It was just too much, too fast. When initially planning for students to work on the computer, I also naively thought they’d have no problem working from multiple tabs at once— reading a primary source in one tab, answering questions on a separate Google Doc, turning their assignment in at a third link. It was yet again unnecessarily confusing and complicated. Not only would students get distracted within an assignment like this, they would also end up opening even more tabs with games and social media. They were much less capable of multitasking than I had predicted, even when the multiple tasks were all related to the same assignment. Students who were still learning how to use the computers were completely lost. As I realized how wrong my assumptions were, I decided to survey my students so I could get a better idea of how they really felt about technology use in the classroom. Surprisingly, they were quite honest and forthcoming. The vast majority of students recognized that they would need to be able to master appropriate technology use for their future careers (Figure 1), yet did not feel strongly that their teachers were properly preparing them for that inevitability (Figure 2). One student recognized ways in which technology could make his work easier, saying, “Reading from a book requires far more time to find the information you need. With a computer, you can simply type what you need in the search bar and you get all the information that you need.” Other students expressed that they didn’t particularly enjoy working on the computer, especially when it came to reading, saying things like, “I am less distracted when I read actual books.” Students were generally upfront about the computer acting as a distraction to their learning, with 78.4% of students stating that they found themselves distracted by games and social media at least some of the time (Figure 3). In talking to others in my school, I discovered teachers weren’t using the computers all the time every day because they either didn’t need to in order to accomplish the goals they set for students or they wanted to spend more time getting comfortable with technology before rolling it out to students. They had much more teaching experience than me and had more quickly realized that the simple addition of a computer didn’t automatically trump what they had been successfully doing for years. Many of them were just getting comfortable using computers themselves and rightly wanted to make sure they were masters of a piece of technology before expecting their students to start using it. Teachers who lived in the district understood the lack of internet access and would try to make sure students had time to do tasks that required a connection while they were at school. At the time, students might have thought that using the computers less in these classes meant they weren’t being prepared to use technology in the future, but in reality, these teachers were very deliberately trying to avoid many of the frustrations I was facing in my classes. They put student learning first, and added technology when it fit well and when they felt comfortable with it themselves. Usually this meant waiting until they could attend professional development, collaborate with a colleague, or spend time fiddling around with the technology on their own. 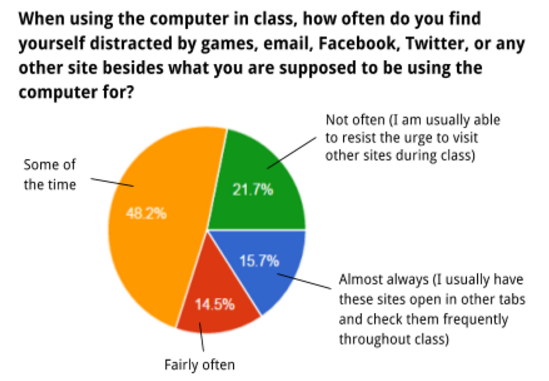 Figure 3: The vast majority of students find the computer to be a distraction at least some of the time. Over the past three years, I’ve taken a step back from using technology so aggressively and instead have focused on how to use technology to enhance student learning or improve efficiency. Instead of thinking of the Chromebook as the answer to everything, I think of it as one possible tool to use for learning. It’s convenient to have students pull their Chromebooks out to play with online simulations when lab materials aren’t available or to visualize things they cannot see like atoms and molecules. I also definitely have students write more in science than I would without the Chromebooks, because they can type quickly and easily revise their explanations. I can email students notes and assignments when they are absent and they can easily share documents with each other and collaborate on projects. Students can even share their work outside of our school, using YouTube, Twitter, and other social media platforms. Nearly all of the presentations I have students do require them to incorporate digital media in some way. Using Google Classroom has simplified assignment distribution, completion, and submission for me and for my students. Now that everything is all in one place, students are less confused and distracted. 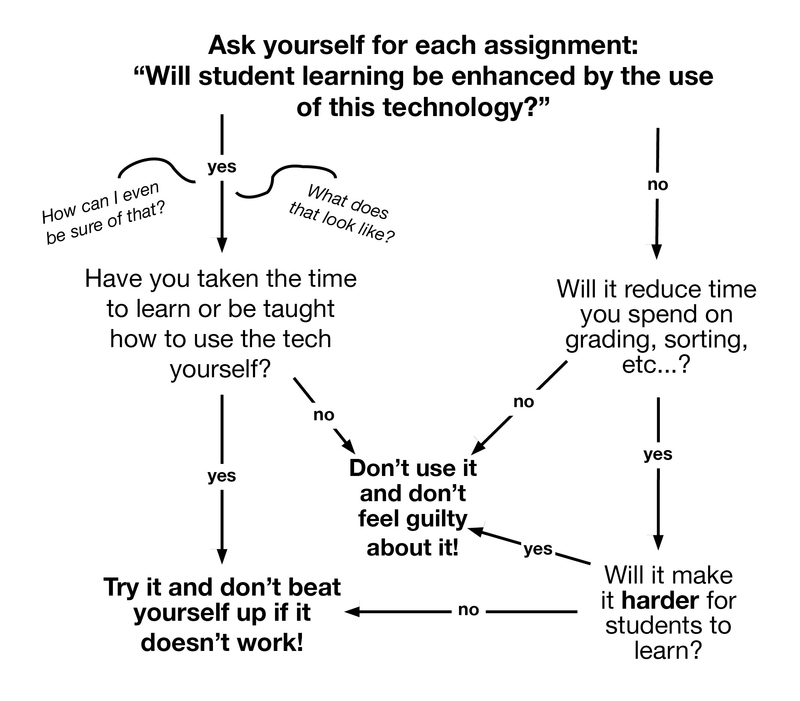 Figure 4: How to determine whether to add technology to a lesson. Since I’ve taken this approach to technology use in my classroom, I have seen a transformation in my students as well. Now when I present an assignment or activity on the computer, students rarely ask to do it on paper instead because there are clear reasons why technology use improves the assignment. In my district, students have started getting Chromebooks at the middle school as well, so computer literacy as they enter my classroom is rising. I’ve learned not to expect my students to be masters of multitasking when they first enter my room. Rather, it’s actually my responsibility to help teach them how to multitask with technology. This is definitely a big challenge. Confiscating student cell phones when I catch them texting or playing a game doesn’t solve anything because they can easily open a Google Chat or game on their computer screen and appear as though they’re working. Instead, I need to encourage students to try to juggle all of this technology responsibly. Allowing students to try to balance these things and then addressing significant problems when they arise is the best way to help them develop good habits with technology. I’m convinced one-to-one computing is the wave of the future for our classrooms. But I also think it’s important for educators to understand when students will actually benefit from computer use. With specific technology standards now in the Common Core and many state standards, it is easy for teachers to feel pressured to use as much technology as possible. I propose that educators ask themselves a couple of key questions before integrating a new app, website, game, or other piece of technology into their lesson (Figure 4). Will student learning be enhanced by the use of this technology? Will this technology reduce time spent on logistical things like grading? If the answer to both of these questions is no, it’s okay to stay low-tech for the day! Beverly Stuckwisch, a 2012 Knowles Teaching Fellow, teaches chemistry, AP Chemistry, and algebra at Licking Valley High School in Newark, Ohio. Beverly is also the advisor for the National Honor Society and the co-sponsor for the Gay-Straight Alliance. Beverly was part of a group of teachers that piloted standards-based grading and helped roll it out schoolwide in 2014. 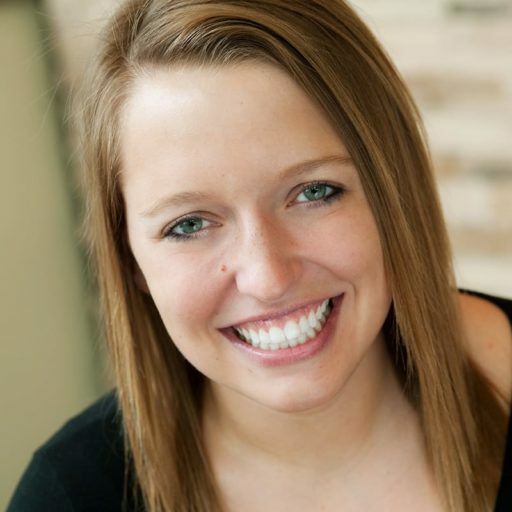 She is currently helping the local middle and elementary schools to develop standards-based grading practices. Reach Beverly at beverly.stuckwisch@knowlesteachers.org. Stuckwisch, B. (2017). An honest look at a one-to-one classroom. Kaleidoscope: Educator Voices and Perspectives, 3(2), 12–15.